Description – The sunshine bass is a hybrid produced by crossing a female white bass with a male striped bass. Sunshines closely resemble both striped bass and white bass making identification difficult, particularly for young fish. When comparing adult fish, the sunshine has a deep body and an arched back similar to the white bass. Sunshines can often be distinguished by broken or irregular stripes on the front half of body and straight lines on the rear half of body. A mid-body break in line pattern occasionally occurs. Subspecies – There are no recognized subspecies since the sunshine bass is an artificial hybrid. Some states including Florida produce a hybrid called palmetto bass which is a cross between a female striped bass with a male white bass. Range – Sunshines are stocked throughout Florida. The largest fish are from northwest Florida, but sunshine bass have produced fisheries as far south as Lake Osborne in West Palm Beach. Habitat – Sunshines appear to prefer areas within lakes and rivers similar to striped bass and white bass. Older sunshine bass require cooler water during summer months. Spawning Habits – Sunshines have not been shown to reproduce naturally in Florida; however, several recent studies have shown limited spawning in Arkansas, South Carolina and Texas. In Florida, they are hatchery-produced by Florida Fish and Wildlife Conservation Commission biologists and stocked in selected river and lakes. Sunshine bass were developed by the Commission with two goals in mind. The first was to control abundant gizzard shad populations in nutrient-rich lakes. The second goal was to create and maintain a new fishery that would supplement existing native species. The sunshines have served those functions in the Apalachicola River system, one of only a few northwest Florida rivers containing enough shad and thermal refuges to ensure optimal growth of sunshines. 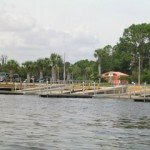 In most years since 1975, sunshine bass have been stocked in Lake Seminole and the Apalachicola River. Feeding Habits – Like stripers, sunshines are voracious feeders and consume any kind of small fish including threadfin and gizzard shad. Young fish also feed on mayflies and crustaceans. Sunshines also travel and feed in schools with peak activity in the early morning or evening. Age and Growth – Sunshines are probably best known for their rapid growth. They have attained weights of six to seven pounds by three years of age. Sporting Quality – As a sport fish, sunshines are known for their good fighting ability. Live threadfin or other small shad and shrimp are by far the most effective bait for sunshine bass. 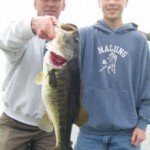 Artificial lures such as crankbaits, bucktail or feathered jigs, spinners and spoons also do well. Topwater lures also are effective when fish are schooling near the surface. Trolling with artificial lures often helps locate fish when surface feeding is slow. 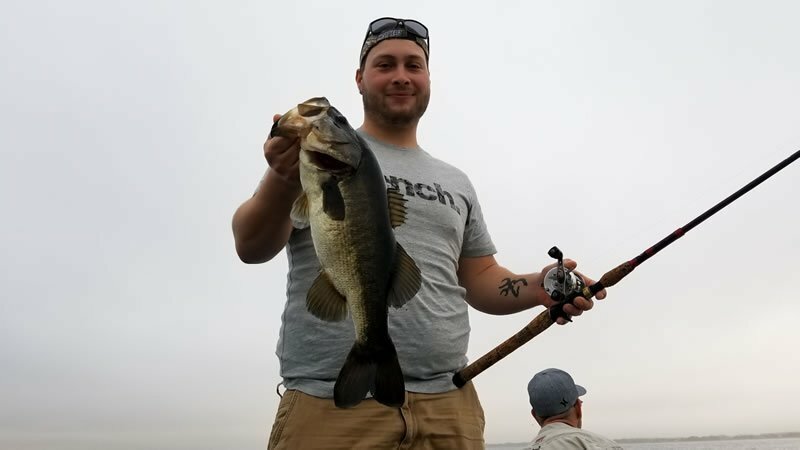 As a sport fish, specific bag and size limit regulations apply, and you can register a qualifying catch as part of the Florida Game and Freshwater Fish Commission’s “Big Catch” program. World Record- 24 pounds, 3 ounces, caught in Leesville Lake, Virginia, in 1989.